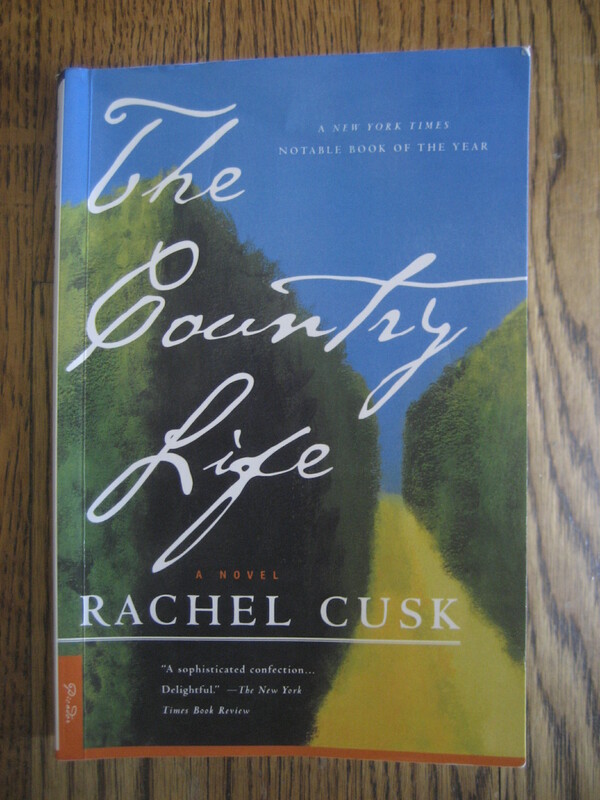 The Country Life, published in 1997, is Rachel Cusk‘s third novel. She is spacing them out like children–one every two years. As opposed to The Temporary, the writing is solid throughout, continuously propelling the reader forward. The first sentence tells you that the narrator is supposed to take the four o’clock train from Charing Cross to Buckley. The author then does a very good job of keeping you reading by supplying all sorts of details regarding the departure (although I wanted even more) without stating what Stella, the protagonist, will be doing when she arrives at this new destination or what specifically has caused her to make the journey. The Country Life was a delightful book to read. To continue with the house-building metaphor (which perhaps should be dropped, but I tend to like to finish things I start), Rachel Cusk, in her writing life, is past the foundation and the framing, and into the sheet rock. I’ve just started her fourth book, which is a memoir, A Life’s Work: On Becoming a Mother.